Cloud computing is gaining a lot of ground with business after business migrating several types of functionality to various cloud providers and services. This is a good way to cut costs while still adding more flexibility to various business processes. The good thing for both the industry and for the market is that there’s still a lot more in store. Cloud computing continues to grow, and there are no indications that this growth will taper off anytime soon. Among the advantages of cloud computing is its different layers—you can go about it any way you prefer, using one channel or a combination of channels to make sure that your cloud dependence is tailor-fit for the requirements of your business. If you’d like a more detailed discussion on the layers of cloud computing, you can head to this RingCentral blog post. Because of these layers, it’s easier for entities to turn to the cloud and pick out the approach that’s best for their interests. 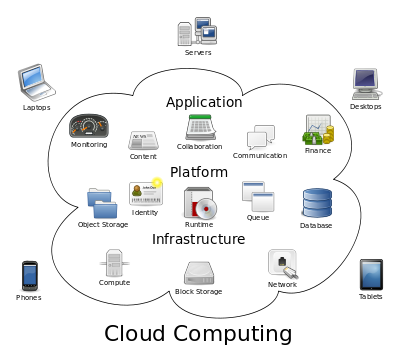 Last year, the overall revenue generated by the cloud computing industry was pegged at $40.7 billion. This illustrates just how much more dependent individuals and businesses are on cloud services. This covers everything from the infrastructure side to the diverse range of service providers you’ll find on the Internet today. Even with all the massive amounts of storage on-premise servers and systems can handle, the sheer amount of data churned out today needs a much bigger platform, and that’s where the cloud comes in. As more data is generated, naturally there has to be more cloud options to accommodate everything. That’s why we have yet to see the true peak of cloud computing. While the numbers posted for the industry are already surprisingly good, many experts are foreseeing a significant jump in the foreseeable future. Some have it as high as over $240 billion by the time 2020 is upon us—that’s around $200 billion more, and in less than 10 years. But then, a lot can change within that span of time. While the projections account for current trends, there’s still no way of knowing how long cloud computing can be viable for businesses. Sure, they’re useful right now in plenty of ways. However, there are things like the infrastructure segment of the market reaching its peak eventually, so the revenue from that part of the pie stagnates. In addition, who knows what kind of new technology gets developed, say, 5 years down the road? The technologies in place by 2020 could be detrimental to cloud computing, or it could advance the industry further. Cloud computing still has tons of untapped potential, and the projected growth of the industry and its market are both consistent with this. Companies, from mega corporations to small businesses and even individuals, are constantly seeking new ways to make things easier and more convenient—and the cloud definitely holds some of the keys when it comes to that.